The beauty skincare company SkinPep sent me a range of their products that would help keep my skin looking healthy throughout winter. 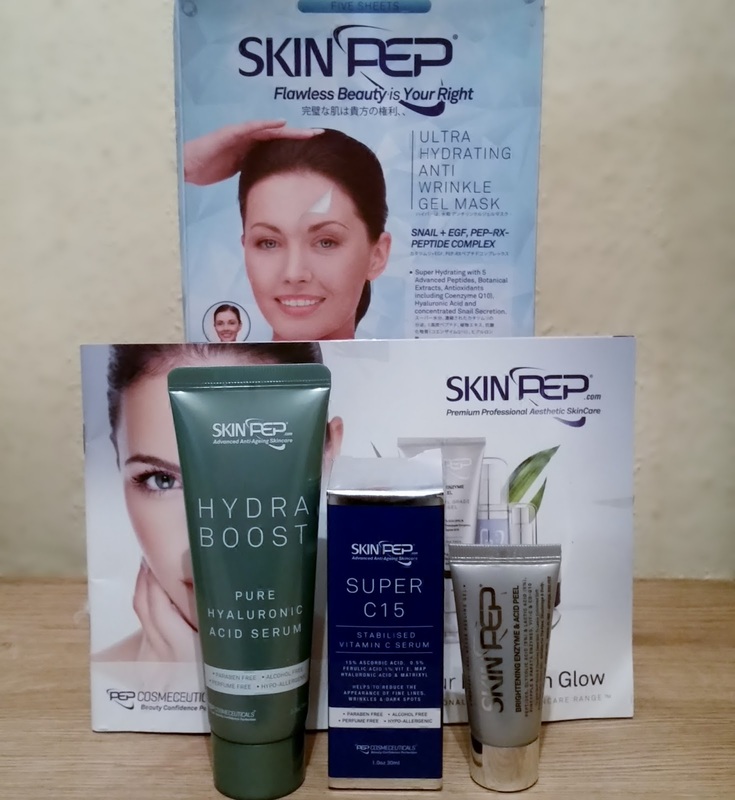 Speaking to Stephanie from Skinpep on the phone who was really helpful, i described my skin type and she offered these products that would help me. My skin and probably yours, changes in winter due to the seasonal change (it gets cold) and the heating is on, sucking moisture out. The light moisturisers used in summer now have to be changed to thick creams to moisturise your skin more and keep any dry skin at bay whilst caring and supplying your skin with the benefits your moisturiser offers. The hydra-boost serum is recommended of any age interested in preserving and maintaining the skins natural elasticity and youthful qualities. Unlike products that depend on moisture in the air, it can help hydrate skin even in dry climates or heated rooms that rob the skin of moisture. 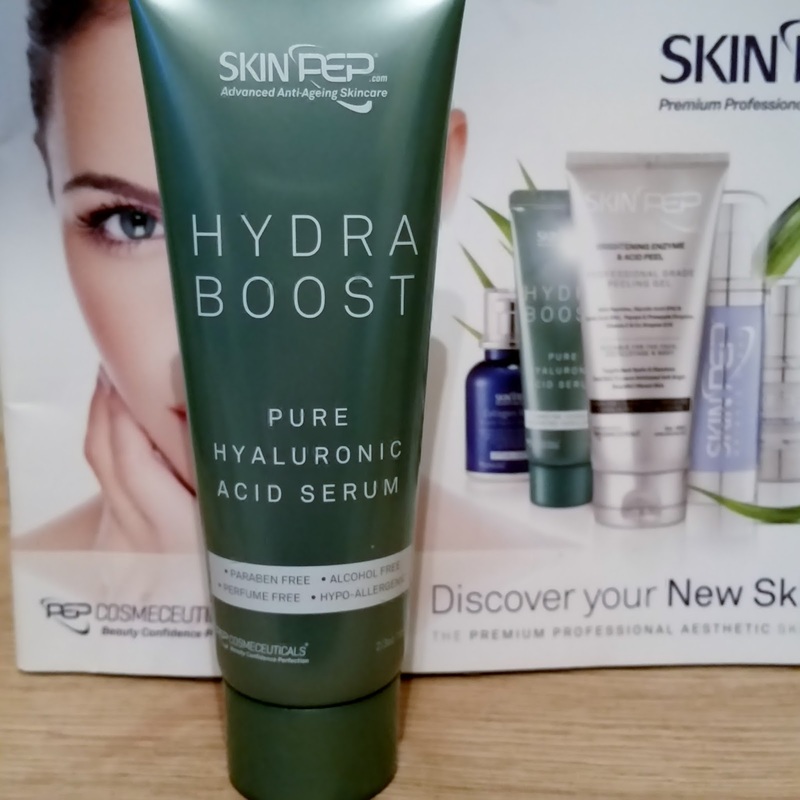 The hydra-boost serum is clear and you only need to use a tiny bit as the consistency is quite runny. The serum is instantly absorbed into the skin, when massaged into skin for 1-2 minutes to help the serum achieve perfect skin hydration. This serum provides nourishing ingredients your skin needs to stay radiant and beautiful and help reduce the appearance of wrinkles whilst boosting elasticity. Everyone loves a face mask! This refreshing non-greasy hypo-allergenic face mask is packed full of moisturisation treats! Plumping and moisture retention can be achieved as well as maximising collagen & elastin. Powerful Antioxidants such as Q10, Royal Jelly and propolis protect your skin from the damaging effect of free radicals and help to improve the appearance of ageing skin. After you have opened the pouch remove both films from the sheet. Spread evenly the upper part from the eyes and the lower part from the lips. Leave on for 30-40 minutes and remove mask. You can also use the hydro-boost serum to boost collagen activation. Apply serum to the mask before applying. The mask can be worn overnight and after use dissolve the mask in a warm cup of hot water and re-apply the dissolved serum onto face and neck once more and leave to dry. My skin felt lovely and smooth and really clean. This treatment felt like i was having an expensive facial treatment, its that good! 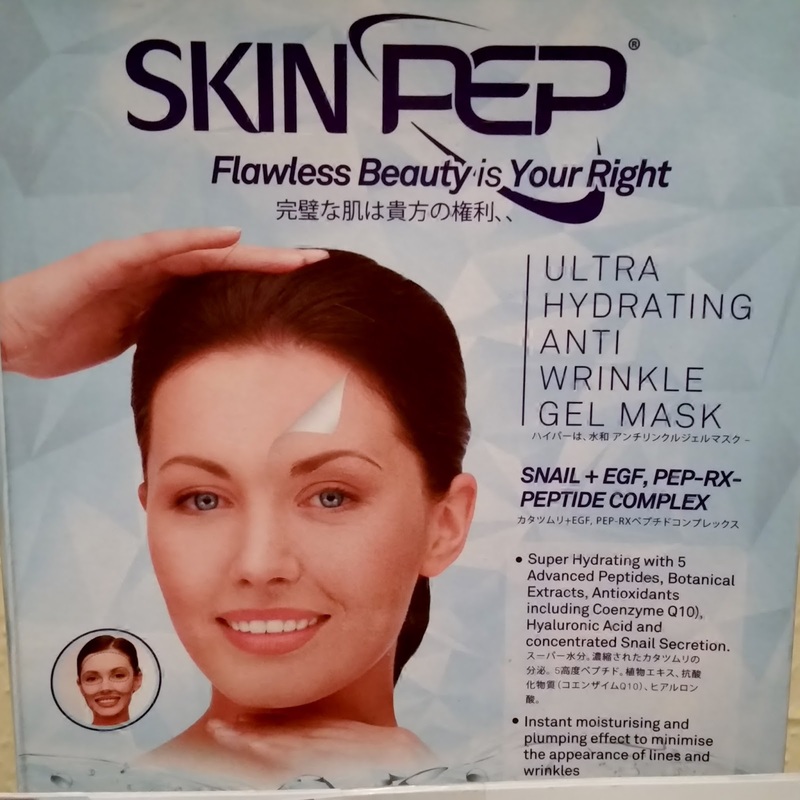 Skinpep's professional enzyme derived gel is a gently but highly effective peeling gel to help dissolve dead skin and target dark spots. Dead skin must be removed regularly because it can act as a barrier and prevents the full absorption of peptide serums. Exfoliating skin will help and make your skin look and feel soft and also will improve your skin to look bright and healthy. I found this really gentle and my skin felt exfoliated and clean as well as feeling soft and looking bright. The serum i used absorbed even better than without doing this treatment. Apply a small amount of gel to face, neck, or body on clean wet skin. Gently massage in a circular motion for 1-2 minutes to remove dead skin. DO NOT RUB HARD- specific to sensitive skin. Leave on for another 1-2 minutes and wash off. Skin Firming & Super Antioxidant. elastin to reduce the appearance of fine lines and wrinkles. 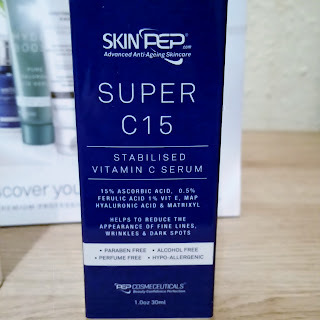 Super C15 serum also is a natural UV sun protector and provides 8-times the skin naturals photoaging protection. Apply 2 - 3 drops to face up to twice daily after cleansing. You can use alone or follow with a moisturiser where needed. Can also be applied around under the eye area. I'm a huge fan of serums and i know if there just not going to work for me. The super C15 is a delight to use. A little goes along way and this is instantly absorbed into the skin.This doesn't clog pores and hasn't broken me out. I have noticed my skin tone has improved and my skin looks plumped and just more healthier! Thank you Skinpep for making products that are affordable and are highly effective! Whatever the weather this winter. 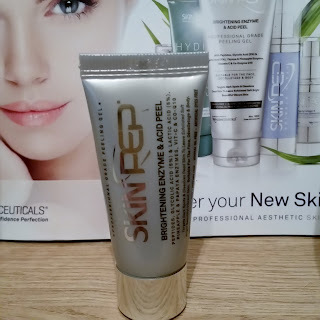 I know skinpep is going to be caring, improving and protecting my skin! X Neal. 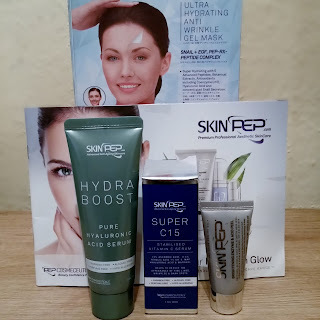 For more skincare products please find the link to Skinpep's website.